Did You Win The Oscar Nominated LOVELESS On Blu-Ray? We've got two blu-rays of the acclaimed Russian drama to give away. Altitude Film Distribution is pleased to announce that Loveless – the latest masterpiece from the Oscar-nominated Russian auteur Andrey Zvyagintsev - will be available to Download on 4th June and on DVD and Blu-ray from 11th June (pre-order now: http://amzn.eu/8eJc2zw). A bold and unflinching look at family dynamics in an era of growing alienation amidst the ever-increassing connectivity afforded by modern technology, Loveless is the work of a filmmaker at the height of his powers. 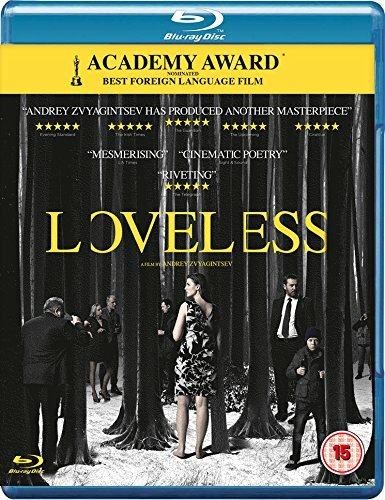 Loveless is the fifth feature from Zvyagintsev, who previously won a Golden Globe and the Best Screenplay prize at the 2014 Cannes Film Festival for Leviathan. Nominated for Best Foreign Language Film at the 2018 Academy Awards, BAFTAs and Golden Globes, Loveless won Best Film at the 2017 BFI London Film Festival and the Jury Prize at the 2017 Cannes Film Festival. We've got two blu-ray copies of the film to give away to UK readers.